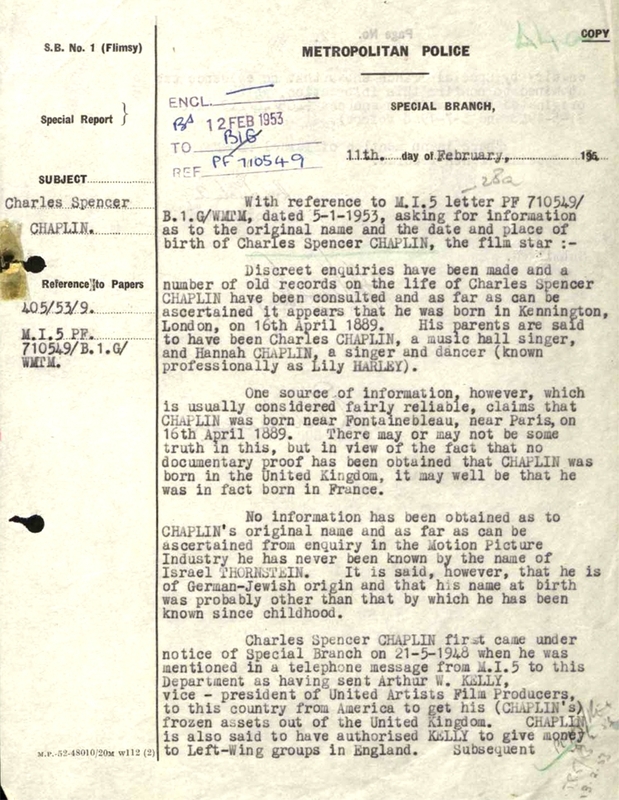 FEBRUARY 17--Prompted by the FBI’s Commie hunters, British intelligence officers sought to unravel the mystery of Charlie Chaplin’s birth, but were unable to find any proof that he was born in London, as the comic actor long claimed. 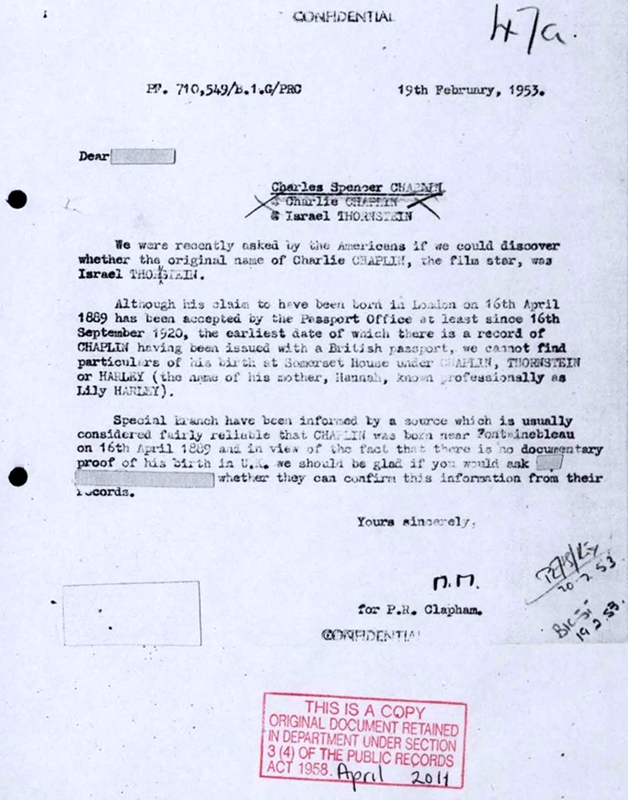 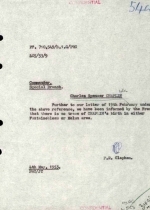 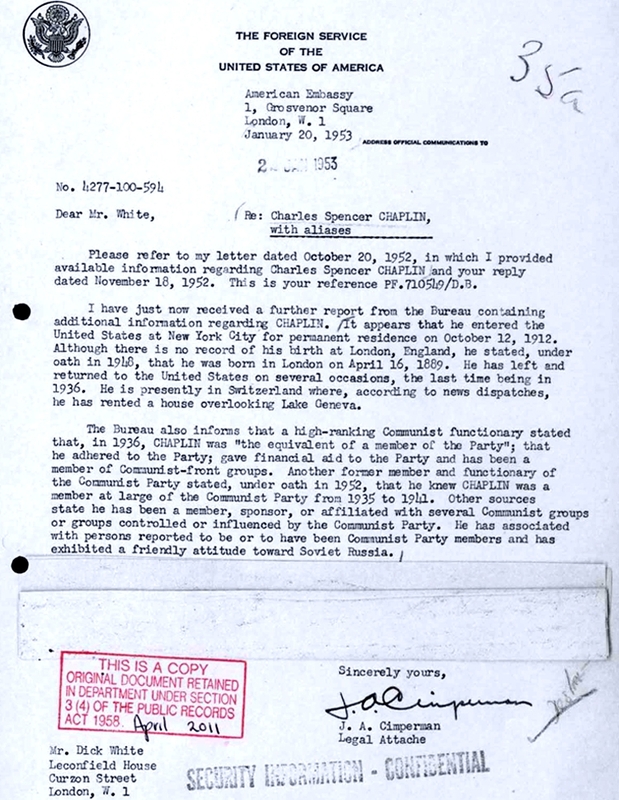 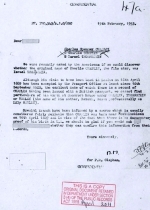 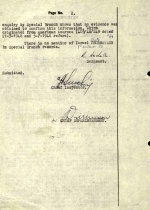 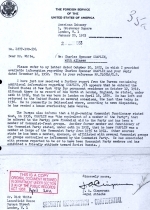 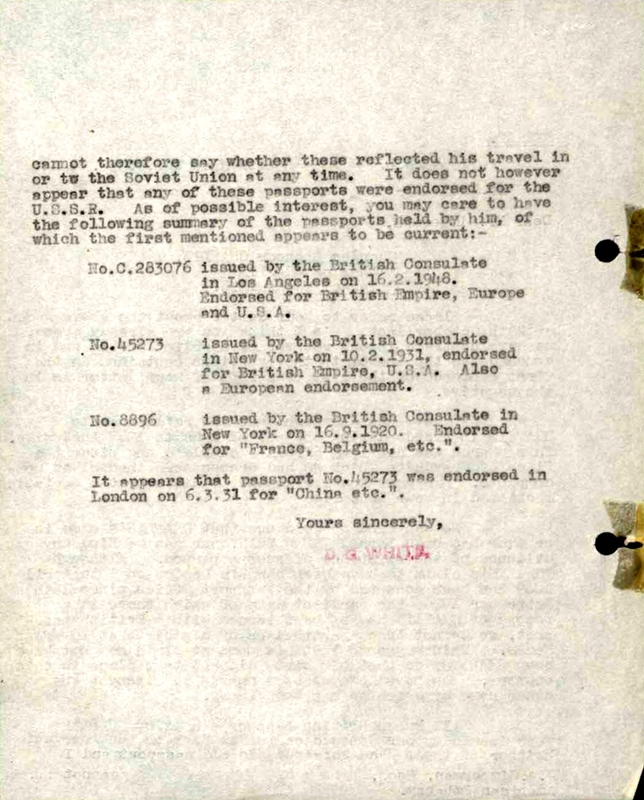 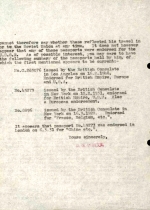 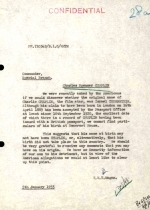 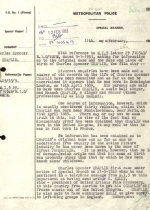 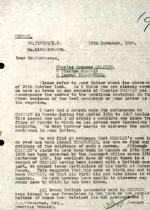 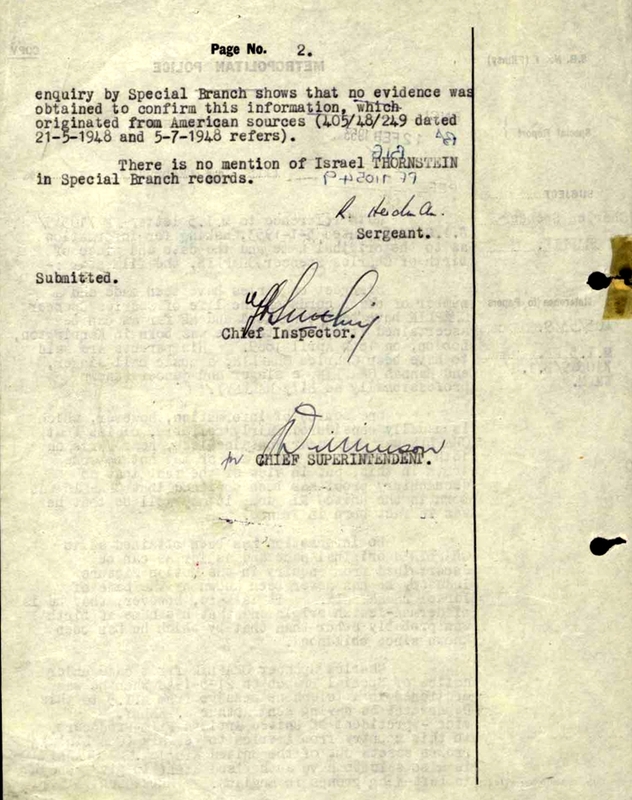 Files released yesterday by the British National Archives show how MI5 investigators examined Chaplin’s background after he left the United States amidst reports that he was affiliated with members of the Communist Party. 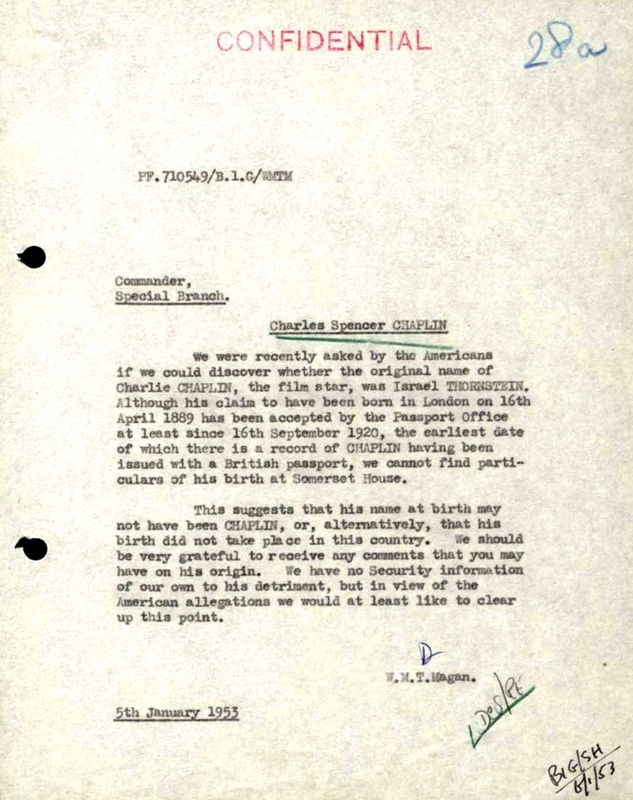 At the request of J. Edgar Hoover’s FBI, British officials sought to locate records showing that Chaplin was born in their country in 1889. 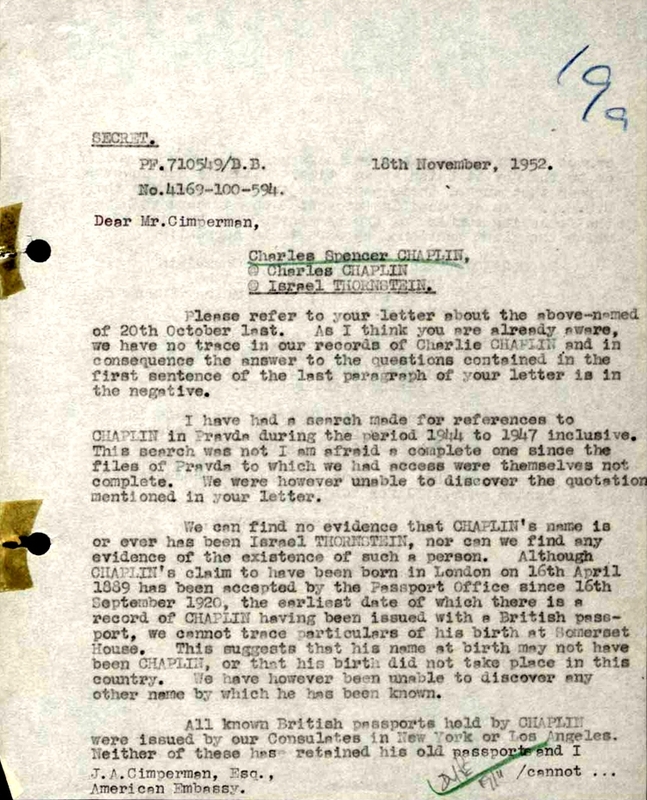 American investigators also asked their MI5 counterparts to determine whether Chaplin’s real name was Israel Thornstein. 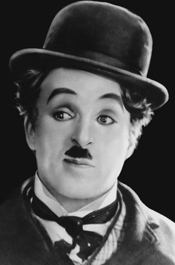 After British investigators--including London’s Metropolitan Police--could find no trace of Chaplin’s birth, they chased down a source report that he was actually born near Fontainebleau, France in early-1889. 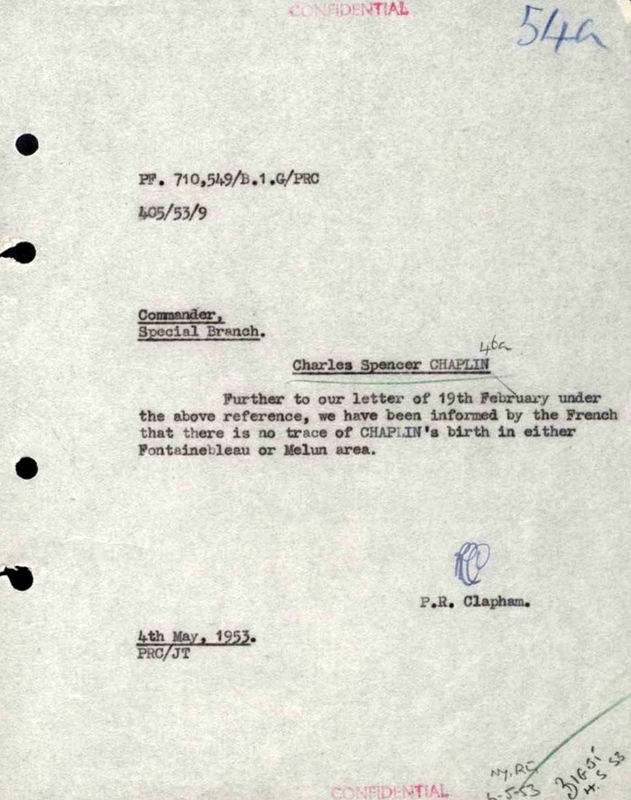 But a check by French officials revealed “no trace of Chaplin’s birth” in Fontainebleau or the surrounding area.